Baby Body Milk is especially suited for stressed and dry baby skin and makes the skin smooth soft supple. Sebamed Baby Body-Milk contains valuable vegetal oils and lipids. 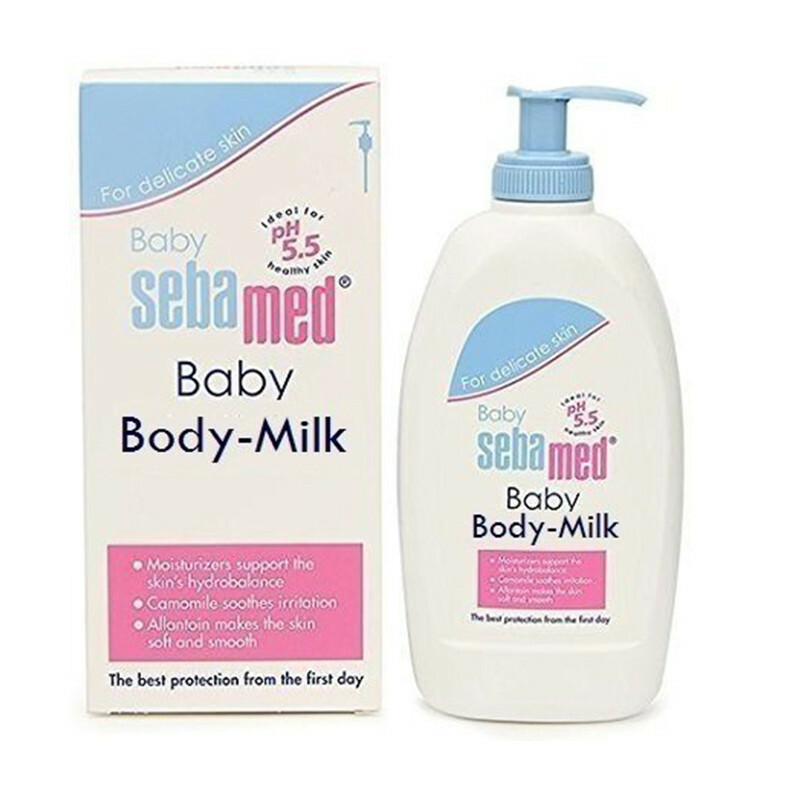 The natural moisturizers such as lecithin, almond oil, shea butter and squalene provide optimal protection against dehydration and are very well tolerated.It moisturizes and regenerates the skin, making the delicate baby skin soft and supple.The Sebamed Baby Body Milk lotion for baby's delicate skin! It's specifically formulated to counteract irritation while further improving the skin's resistance to adverse compounds in the environment.Milk spreads easily and absorbs rapidly while the ingredient Allantoin makes the skin smooth and supple.